Cabrera's research focuses on the racial dynamics on college campuses with a primary focus on the influence of Whiteness. He is additionally deeply involved in the legal controversy regarding Mexican American Studies in Tucson, Arizona. Overarching themes in Cabrera's writing includes critically analyzing racial privilege, the racial politics of contemporary ethnic studies, and programmatic assessment. He recently served as an expert witness in the Mexican American Studies case, is an affiliated faculty with UT Austin's Project MALES, an American Association of Hispanics in Higher Education (AAHHE) faculty fellow, and one of Tucson's "40 Under 40" (2015). "The Numbers Won’t Speak for Themselves," Nolan L. Cabrera (with Angela Valenzuela and Stephen Pitti), Inside Higher Education, July 12, 2017. Nolan L. Cabrera quoted on white racial attitudes, "White People" MTV, July 22, 2015. "What the Oklahoma Frat Video Tells Us about America," Nolan L. Cabrera, Al Jazeera, March 18, 2015. 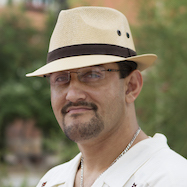 "Flashpoint over Struggle to Preserve Mexican-American Studies in Arizona," Nolan L. Cabrera, Diverse Issues in Higher Education, July 7, 2011. "Whiteness in Higher Education: the Invisible Missing Link in Diversity and Racial Analyses," (with Jeremy D. Franklin and Jesse S. Watson), Association for the Study of Higher Education, 2017. Provides a critical synthesis of Whiteness in higher education scholarship. "White Immunity: Working through the Pedagogical Pitfalls of Privilege" Journal Committed to Social Change on Race and Ethnicity 3, no. 1 (2017): 74-86. Offers "white immunity" as a theoretical development of "white privilege." "Missing the (Student Achievement) Forest for all the (Political) Trees: Empiricism and the Mexican American Studies Controversy in Tucson" (with Jeffrey F. Milem, Ozan Jaquette, and Ronald W. Marx). American Educational Research Journal 51, no. 6 (2014): 1084-1118. Demonstrates empirically the educational efficacy of the banned Tucson Mexican American Studies program. It played a central role in the current court case (Arce v. Douglas). "Beyond Black and White: How White, Male, College Students See Their Asian American Peers" Equity & Excellence in Education 47, no. 2 (2014): 133-151. Demonstrates the extremely racist ways White male undergraduates view their Asian American peers, despite professions of the "myth of model minority." "But We’re Not Laughing: White Male College Students’ Racial Joking and What This Says about “Post-Racial” Discourse" Journal of College Student Development 55, no. 1 (2014): 1-15. Empirically explores the behind-closed-door racist joke telling behaviors of White male undergraduates. "Working through Whiteness: White Male College Students Challenging Racism" The Review of Higher Education 35, no. 3 (2012): 375-401. Documents how White male undergraduates use their racial privileges to challenge racism.